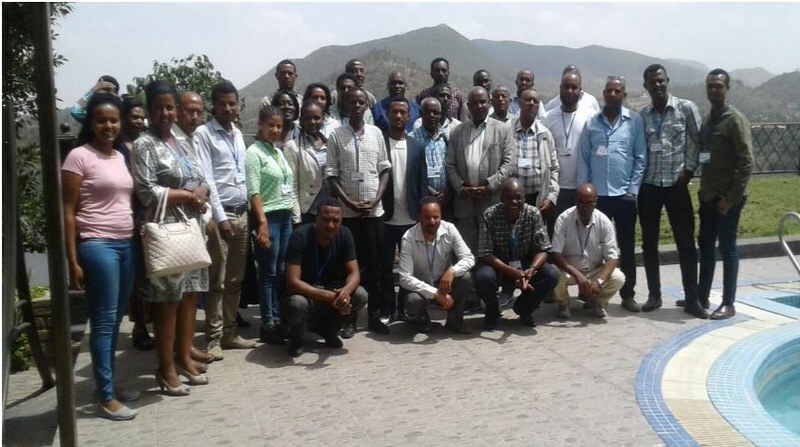 The sixth Ethiopia national innovation platform (IP) meeting of the African Chicken Genetic Gains (ACGG) program took place in Bishoftu (Debre Zeit) 15–16 May 2018. Participants in the meeting raised important issues such as how to ensure the sustainability of the platform and the program. Sixth Ethiopia national innovation platform meeting participants (photo credit: ACGG). 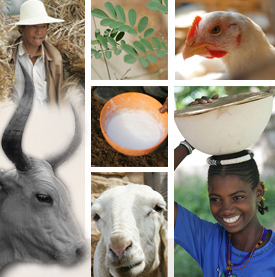 the transformation of the smallholder chicken subsector into a vibrant and competitive business that supports the livelihoods of the smallholder chicken farmers. Ensuring the sustainability of the innovation platform by making sure its operations don’t depend on the ACGG program. He said that in order for this to happen, the platform needs to explore other sources of funding and these may include the Feed the Future initiative supported by the United States Agency for International Development among others. Calling upon the Ministry of Livestock and Fisheries to play an active role in hosting the platform if it evolves into a national poultry development forum as is the case in Nigeria. In the long run, the project’s key developments will include the multiplication and delivery of strains at scale (through private hatcheries) and the development of the Long-Term Genetic Gains program. The ACGG program team is also in talks with various institutions to explore modalities for additional funding. The participants unanimously agreed that the Smallholder Chicken Forum – a national forum that should replace the innovation platform in the long run – is needed and should continue, without depending on donor funding. They explored, in working groups, the possible mandate, membership etc. of the forum and compared two different forum management and coordination options (hosted by the Ethiopian poultry Producers and Processors Association [EPPPA] or started as an independent entity). A training on data collection on the gender assessment has been carried out. Edwin Adenya (regional field schools support officer at Mkulima Young) shared the exciting experience of Mkulima Young in engaging youth, women and the private sector, which really inspired participants. The IP meeting ended with the nomination of task forces (on feeds, health, markets) and envisioning key results expected from these task forces over the next six months. The 40 participants (two thirds male, one third female) represented smallholder and commercial chicken farmers, researchers, extension workers, policy and civil society. Read the sixth Ethiopia National Innovation Platform meeting report.